A World Health Organization (WHO) report states that an estimated 2.7 million lives could be saved every year if people include sufficient amount of fruits and vegetables in their lives. A joint FAO/WHO Experts Consultation on Diet, Nutrition and Prevention of Chronic Diseases had recommended minimum 400 gm intake of fruits and vegetables per day in order to prevent chronic illnesses like heart disease, diabetes, cancer and obesity. It had suggested that a healthy and regular consumption of fruits and vegetables also prevents and alleviates several micronutrient deficiencies. The committee also recommended that both, fruits and vegetables, should be a part of the average diet of people as it offers combined benefits. Speaking of fruits, they are rich in antioxidants, vitamins, minerals and phyto – nutrients. They are low calorie and low fat, but are high a source of simple sugars, fibers, vitamins and minerals. The dietary soluble fiber present in fruits control cholesterol levels, reduce fat and offers relief from constipation. The anti oxidants in fruits work in two ways: firstly they protect the body from stress and diseases like cancer. Secondly they boost our immunity to fight against various illnesses. They protect us from age related complaints like wrinkles, hair fall, memory loss, macular degeneration of retina, Alzheimer, colon cancers, osteoporosis etc. Anti oxidants also remove free radicals from the body and help us live longer fruitful lives! Fruits are either available during specific season or year round. The variety in fruits differs in different parts of the globe. The intake should depend upon the season and availability in that region for maximizing the benefits inherent to fruits. 1. 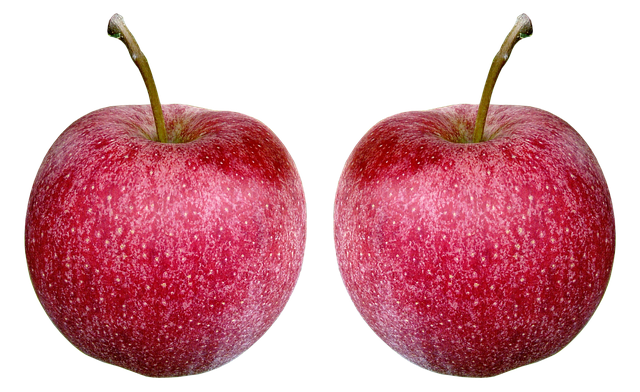 Apple – The most popular fruit, apple is packed with nutrition to facilitate normal growth and development of human beings. They are rich in dietary fiber and low on calories. The dietary fiber prevents the body from absorbing LDL (bad cholesterol) and improves HDL (good cholesterol). Vitamin C and beta carotene in apples improves immunity levels to fight against diseases and release the harmful free radicals in the body. Apple is also a good source of B complex (riboflavin, thiamin and pyridoxine) which, together with enzymes help maintain metabolism and synthetic functions within the body. The small amounts of minerals like potassium, phosphorus and calcium that are an important component of cell and body fluids help control heart rate and blood pressure. Choose apples that are firm in texture, bright and fresh with rich flavors. They can be served either whole, sliced or as a juice. They can be accompanied with other fruits as well. However eating apples with skins provide maximum benefits as most of the nutrients are under its skin. 2. Banana – The fruit that comes in a ‘safety envelope’ is a rich source of energy and is available year round. Though rich in calories, it contains low fat. It is also a source of anti-oxidants, vitamins and minerals. A banana contains simple sugars like fructose and sucrose releasing instant energy thus revitalizing the body. It contains soluble dietary fiber that aids normal bowel movements and offers relief in constipation. It works as an anti ageing agent as it contains flavonoid poly-phenolic antioxidant compounds that aid destroying the free radicals within the body. It is also a good source of vitamin B6 which is beneficial for the treatment of neuritis and anemia. Bananas are also rich in vitamin C which boosts the immune system. Bananas help control heart rate and blood pressure as it contains good amount of potassium. Due to its short life span, bananas should not be stored for long durations. Choose bananas based on the time when you would consume them. The green ones are less ripened and last longer than the yellow and brown spotted ones. 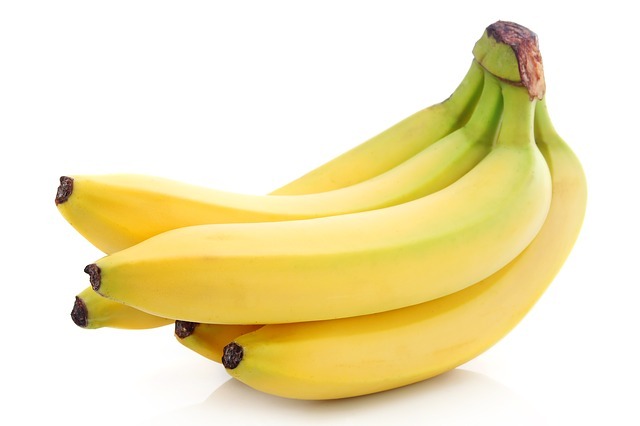 Bananas that are perfect to eat are those that are firm, bright yellow in colour and radiate a rich fragrance. Bananas can be had either peeled, mashed, in milkshakes, as fruit salad, or with ice-cream as fritters. Bananas are also cooked as vegetables in South East Asian cuisine. 3. 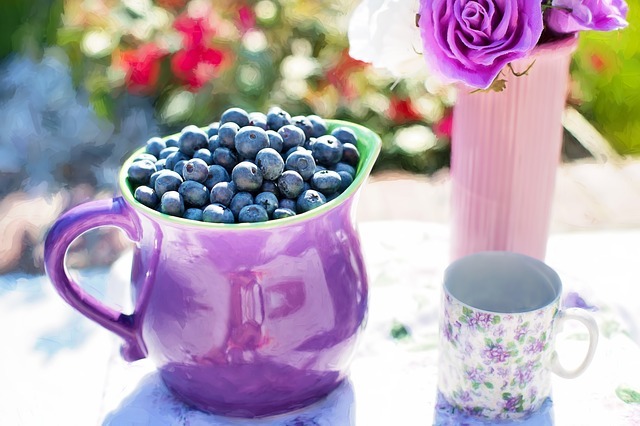 Blueberries – The juicy blueberries are a favorite with children. Part of the ‘berries’ family (strawberry, gooseberry, black currant, cherry, cranberry, raspberry etc), they stand out due to its juicy and blue-purple color. They comprise of anti oxidants, pro anthocyanidins, vitamins and minerals. Blueberries contain highest value of anti oxidant among fruits, which is derived from poly phenolic anthocyanidin compounds (tannins, myricetin quercetin, chlorogenic acid and kaempferol). These anthocyanins present in all blue-purple colored fruits, offer health benefits like removing free radicals from the body, protecting against cancer, aging and infections. The chlorogenic acid in berries helps lower blood sugar and control blood glucose levels in type II diabetes. The berries also contain vitamins A, B, C and E to help limit free radicals, metabolize carbohydrates, proteins and fats. Minerals like potassium, manganese, copper, iron and zinc in berries help control heart rate, blood pressure and produce red blood cells. Blueberries are popular in North American region and widely used as an ingredient for jams, cakes, tarts, muffins, pies and cheese cakes. While choosing the berries check whether they are firm to touch, sweet and juicy. They are best eaten fresh after washing in cold water and lightly patting dry using a moisture absorbent paper/cloth. 4. 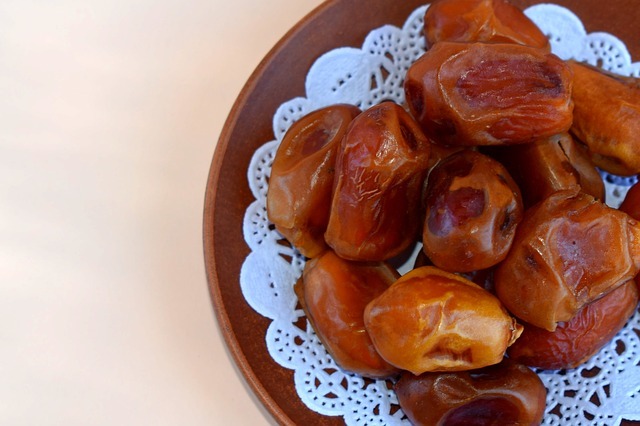 Dates – Dates are one of the greatest sources of energy. These dessert fruits provide the body with necessary dietary fiber, anti oxidants, minerals & vitamins for growth and development of the body. The sweet tasting dates are rich in dietary fiber that prevent dietary LDL cholesterol absorption and protects the colon mucous membrane by binding to cancer chemicals in the colon. They are a source of energy and instantly revitalize the body as they contain simple sugars like fructose and dextrose. Hence in some countries they are an essential part of breakfast. The anti oxidants like tannins in dates are anti infective, anti inflammatory and anti hemorrhagic. They are also a good source of vitamin A which is essential for maintaining healthy eye sight and offers protection against lung and oral cavity cancer. The iron content of dates helps increase the hemoglobin in the blood, while minerals like potassium, calcium, manganese, copper and magnesium help in development of healthy growth of teeth & bones, aids muscle contraction, blood clotting and formation and nerve impulse conduction. Multivitamins B and K help the body in metabolizing carbohydrates, proteins and fats. Dates are sweet in taste and can be eaten out of hand, be a part of cuisine such as salad or stuffed with fillings of almonds, walnuts, candied orange and cream cheese. The dry variety is used as a digestive in some cultures or its juice is used as an instant energy drink to replenish the body. 5. Grapes – Grapes have been a fruit of the royalty since ancient times. Considered the queen of fruits (king of fruits is mango! ); it is a veritable source of health benefiting phyto nutrients like poly phenolic antioxidants, vitamins and minerals. Available in three species: European, North American and French Hybrids, grapes are now cultivated all over the world in varied forms like the white-green, red-purple and blue-black variety. The poly phenolic phyto chemical compound resveratrol present in grapes offers protection against colon and prostrate cancers, coronary heart disease, degenerative nerve diseases, Alzheimer, viral and fungal infections. The anthocyanins are anti allergic, anti inflammatory, anti microbial and anti cancerous in nature. Grapes are also rich sources of minerals like copper, iron and manganese which offer various health benefits. They are low in calorie and a good source of vitamins C, A, K, B-complex and carotenes. Grapes can be either eaten fresh or raw, as a part of salad, juice, jam or jelly. They should be ripe when they are to be used. 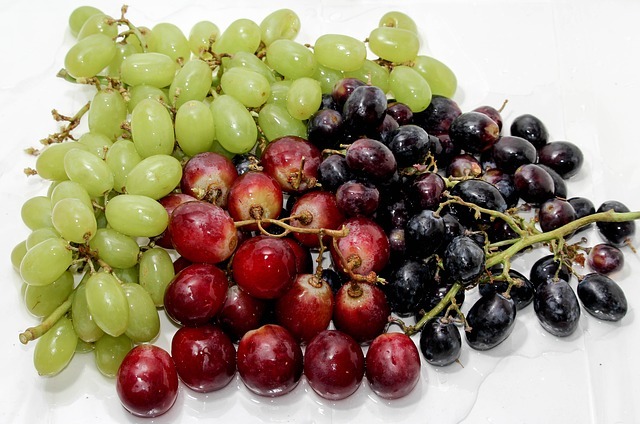 The bunch of grapes should be rinsed properly in cold water to remove pesticide and dust residue. Swirl them under water and pat dry before consuming them. 6. Lemon – The zesty lemon is a popular fruit used all over the world for its citrusy juice. Lemons are low calorie and do not contain saturated fats or cholesterol but are rich in dietary fiber. The citric acid which gives it an acidic tinge is a natural preservative that aids digestion and dissolve kidney stones. 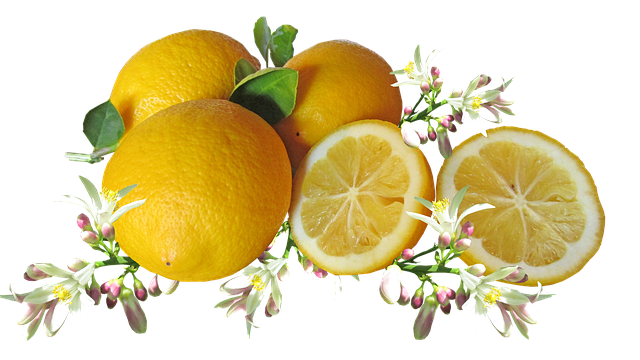 The ascorbic acid (vitamin C) in lemons is a water soluble antioxidant that helps prevent scurvy, develops immunity and removes harmful free radicals from the blood.They also contain phyto chemicals such as hesperetin and naringenin that work as anti inflammatory, antioxidants and immune system modulators. Lemons also contain required amounts of minerals like copper, iron, potassium and calcium which help control heart rate and blood pressure. Other biologically active non nutrient compounds like antioxidants, soluble and insoluble dietary fiber found in lemon help reducing the risk for cancers, arthritis, obesity and coronary heart diseases. Lemons should be bright yellow big, firm, plump and heavy for their size to qualify as useful. The fruit should emit a fresh citrusy aroma after being rolled gently. They can be part of the diet in the form of lemonade juice, salad garnish, cakes, pies, pastry dough, marinades or pickles. 7. Mango – The uniquely flavored dazzling golden fruit mango is truly the king of fruits. Its health promoting qualities have made it one of the must-haves among the super fruits. It is rich in pre biotic dietary fiber, vitamins, minerals and poly phenolic flavonoid antioxidant compounds. 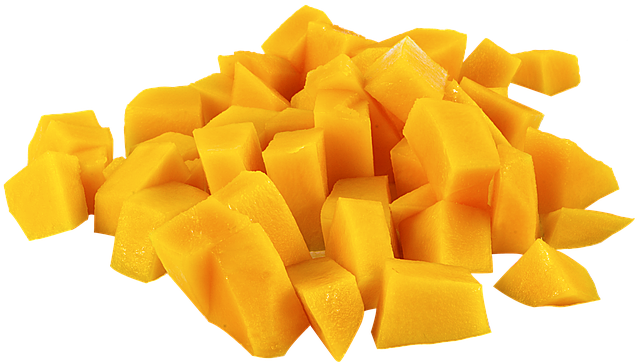 The vitamin A present in mango is essential for vision and maintaining healthy mucus membranes and skin. It protects the body from lung and oral cavity cancer. Apart from these, mangoes are a very rich source of potassium which is an important component of cell and body fluids that aid in controlling heart rate and blood pressure. The vitamins B6, C and E helps the body develop resistance against infections, destroys the free radicals, boosts the GABA hormone production in the brain and controls the homocysteine levels in the blood that are harmful to blood vessels leading to stroke or coronary heart disease. The copper content in mango is useful in producing red blood cells. Mangoes are available during the months of May and June in the Indian subcontinent. They are also available year round but they are the cold storage variety. While buying the fruit, determine the serving size and variety you would like to use. Green mangoes are not fully ripe and can be stored for longer duration while the golden yellow or red yellow colour of mangoes indicates that they are ripe enough to be consumed. Mangoes can be eaten all alone to experience its rich and juicy textured flavors, after washing them under cold running water to remove dust and pesticide residue. Wipe clean using soft cloth. Mangoes are used in juice, fruit salads, ice creams, milk shakes, jams, jellies and candies. The unripe variety is used for preparing pickles, chutneys and curries in Asia. 8. Orange – Oranges contain essential nutrients, multi vitamins and minerals required to maintain a healthy life. It comes in a variety of forms like tangerines and grape fruits. Oranges are essentially low in calories and contain no saturated fats or cholesterol. They are rich in dietary fiber, pectin which is a bulk laxative that helps protect the mucous membrane of the colon by removing toxic substances from the body apart from binding to cancer causing chemicals in the colon. It also helps reduce cholesterol levels. 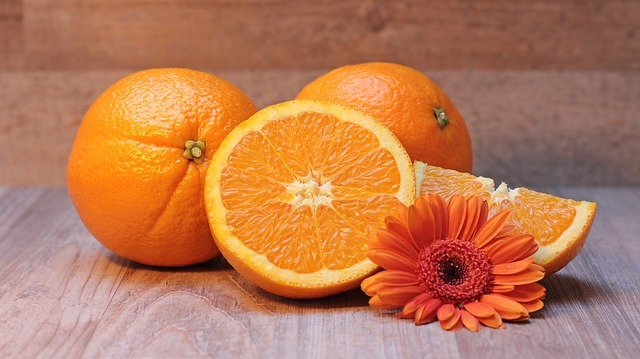 Oranges are also an excellent source of vitamins C, A and B complex. These help the body to become immune to harmful infections, destroy free radicals in the blood, maintain healthy skin and vision, protect from lung and oral cavity cancer. The minerals like potassium and calcium helps control heart rate and blood pressure by countering sodium action within the body. While buying oranges ensure that they are fresh, show bright colour, are heavy for their size, are devoid of wrinkles on the skin surface and emit sweet tangy aroma. Oranges can be consumed by preparing juice, as an addition to salads, jams, jellies and even as a dried variant in herbal tea. 9. Papaya – This sweet and musky flavored fruit is very low in calories and contains no cholesterol. It is a rich source of phyto nutrients, minerals and vitamins. Papayas contain soluble dietary fiber which aids normal bowel movements thereby offering relief from constipation. The vitamin C present in papaya is a free radicals scavenger, immunity booster and anti inflammatory in nature. It also comprises of Vitamin A and B complex which is helpful in maintain healthy eye sight and protects from lung and oral cavity cancer apart from replenishing the body for maintaining the metabolism rate. 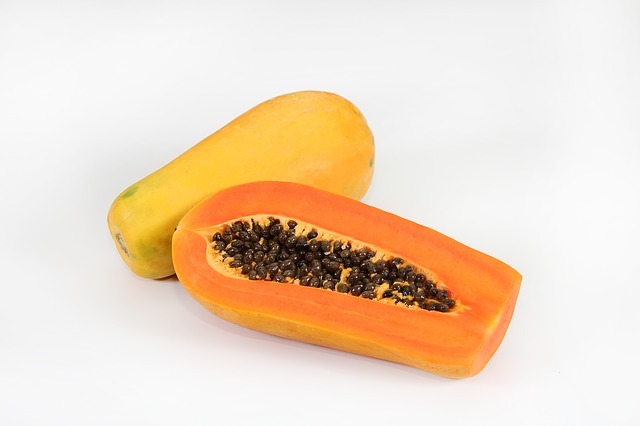 Potassium and calcium in papaya help regulate the heart rate and blood pressure. Traditional medicine use papaya and its seed to treat stomach – ache and ring worm infections due to its anti inflammatory, anti parasitic and analgesic properties. Papaya is also known to reduce the bad (LDL) cholesterol levels in a person. Papayas can be bought ripe or raw depending upon the use. They should be washed gently under running water. The outer layer of the skin and seeds are inedible. The flesh of the papaya can be used as salad or in making juice. It can be eaten on its own as well. Raw papaya is a useful ingredient for making chutneys, soups and curries in Asian cuisine. 10. 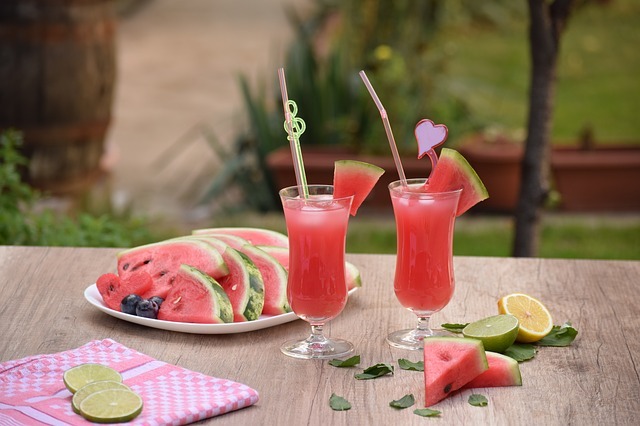 Watermelon – Watermelon is a great thirst quencher during the topical summers. It is a rich source of antioxidant lycopene and vitamin A. It restores the much needed water and electrolytes during hot summers. Watermelons are low in calories and fat but rich sources of phyto nutrients and antioxidants. The natural anti oxidant vitamin A maintains healthy vision and immunity, protects from lung and oral cavity cancer. The other anti oxidant flavonoids like lycopene, beta carotene, lutein, zeaxanthin and cryptoxanthin protect the body against colon, prostate, breast, endometrial, lung and pancreatic cancers. The phyto chemicals present in watermelon have the ability to protect cells and other structures in the body from oxygen free radicals and skin damage from UV rays. It also contains vitamin B6 and C, thiamin and manganese that boost immunity and scavenge harmful oxygen free radicals. In order to check whether the watermelon is fit for consumption, cut a wedge to judge its ripeness and sweetness. Wash the whole melon under cold running water to remove dust and pesticides. The melon can be eaten on its own by cutting cubes, slices or scoops. It can be also consumed in the form of juice/sorbet, fruit cocktail or as a vegetable. Include fruits in your regular diet to ensure good health and long life. Fruits are a valuable and natural source of vitamins, minerals and phyto nutrients essential for a fit mind and body. Nutritionists recommend 2 – 3 servings of fresh fruit daily. The servings can comprise of seasonal or regular variety of fruits in any shape size, colour and flavor to get the optimum benefits of the nutrients present in them. The author believes that ‘health is wealth’. She writes on varied topics that are related to anti-ageing and HGH, Skin and Hair Care, Eating Disorders, Lifestyles etc.